WIDOW OF JAMES SUTTILL WHO DIED MARCH 6TH 1849 AGED 75 YEARS. THOMAS SUTTILL SON OF THE ABOVE WHO DIED MARCH 6TH 1858 AGED 43 YEARS. 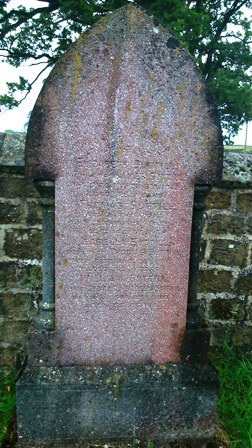 WHO DIED AUGUST 2ND 1885 AGED 65.
WHO DIED SEP 29TH 1900 AGED 52 YEARS.